The 2018 Jersey Flegg Grand Final will be a week one finals rematch between the 2nd-placed Cronulla Sharks and 3rd-placed Penrith Panthers. Penrith were victorious back on September 1st, defeating the Sharks 18-10 and earning a week off. 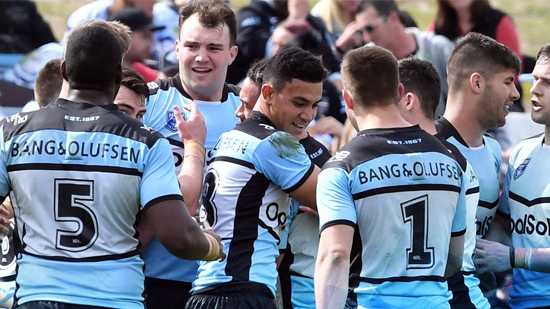 Cronulla played Canterbury in the semi finals, coming out strong 30-10 winners before holding off Mounties in the preliminary final to book their spot in the decider. The Panthers played Newcastle in their preliminary final, with a late try to winger Thomas Lofts giving them a chance to defend their Jersey Flegg crown. If Penrith win, it will be their third straight Jersey Flegg Cup premiership after winning in 2006 and 2007, the last year the competition ran before being replaced by the National Youth Competition. A win for Cronulla would give them their first even Jersey Flegg premiership.